Aroma diffuser is a wonderful diffuser in your house.Adding several drops of oils into it, it will fill your space with lovely fragrance. You also can use it as a humidifier if you like.It also fits for baby.It can improve your sleep, heal your skin and much more. 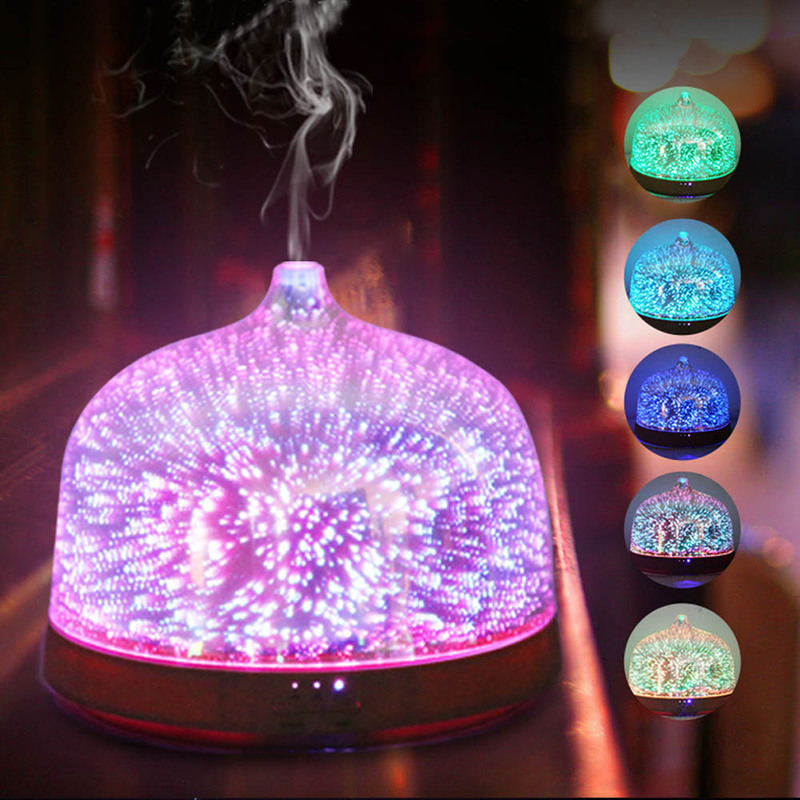 Cool Mist Aroma Humidifier-Beautiful diffuser with favorite firework design. 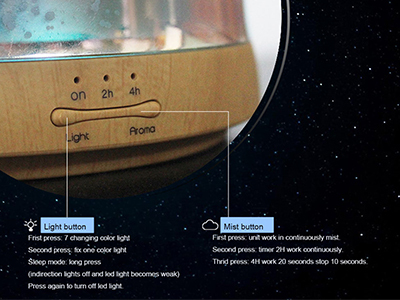 Choose from color changing mode or 6 color stops all with a high and low brightness setting. 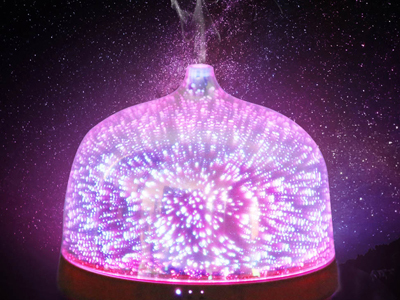 This aroma oil lamp lights up purple, yellow, blue, green, red, and white. 1. First press unit work in continuously mist. 2. Second press: timer 2H work continuously. 3. Third press: 4H work 20 seconds stop 10 seconds. 4. Press again to turn off led light. 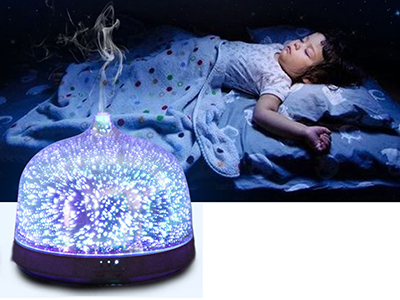 1.how to use the Aroma Essential Oil Diffuser? WARNING:Be careful when you add water.Please add water below the Max line. 5.Do not fill water directly from the water pipe and do not use sparkling water.